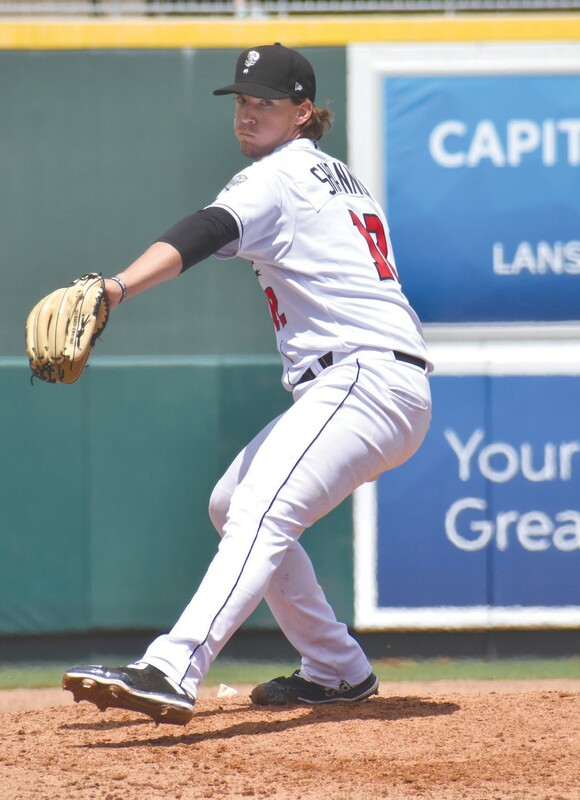 Pleasanton native Matt Shannon finished his season with the Class A Lansing Lugnuts on Sept. 6, his first full season of minor-league baseball. Shannon, who was drafted from Angelo State University in the 12th round of the MLB draft by the Toronto Blue Jays last year, posted a 3-5 record with seven saves and a 5.03 ERA in 48 1/3 innings across 29 games pitched for the Lugnuts. He struck out 35 batters. Shannon, who started his minor-league career with the short-season Class A Vancouver Canadians last summer, is a late-innings long reliever who has also succeeded in closing situations. He is considered a power slider-power sinker pitcher. “They both have really late spin and don’t break too much. They’re really tight,” he said of the movement he puts on those pitches. His sinker is between 92 and 94 miles per hour while his slider hits between 84 and 87 miles per hour. Also, his fastball currently tops out at 96 miles per hour. Shannon improved his control in the second half of the season. Through June, he allowed 14 walks in 22 1/3 innings, but for the rest of the season he gave up 10 in 26 innings. “I think I just perfected a mechanical flaw and repeated better to stay in the strike zone,” he said. Shannon enjoys being a relief pitcher, which brings the thrill of pitching late in the game during intense situations. “I like being in there when the game’s close,” he said. The Lugnuts went 80-60 in the regular season and lost a playoff series in two games against the Bowling Green (Ky.) Hot Rods. Shannon hopes to be promoted to Class AA, but first must go through the higher Class A minor league level, where he said he will be working to improve pitching against minor-league competition. The Blue Jays’ high Class A affiliate is the Dunedin (Fla.) Blue Jays. Their Class AA affiliate is the New Hampshire Fisher Cats.